TNA is still producing the world's fastest and most widely used snackfood packaging equipment. 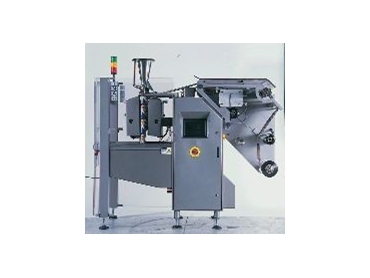 A high-speed packaging machine originally developed 20 years ago by TNA is still the market leader for snack food packaging equipment worldwide. Now, with new generation models recently released, TNA shares the secrets of the machine that has dominated its market for so many years. Alf and Nadia Taylor established TNA in the 1980s to address the lack of a reliable, high-speed packaging machine for the snack food market. TNA consequently designed and manufactured the Robag machine, which was faster and produced less rejects than other machines on the market. A major point of difference on the patented TNA machine is the stripper tube closer assembly, which ensures that product is dragged away from the seal part of the bag while heat sealing takes place. The unique double shaft, double jaw design enables jaws to close one bag and start another at the same time - enabling faster processing. The double jaw design on the standard size machine enables 120 - 200 bags per minute to be filled and closed. Recently a new, smaller model has been developed that can complete 200-230 bags per minute. According to Alf Taylor, the new machine enables TNA to widen their exposure to new markets. "The smaller model enables us to break into markets which package smaller quantities of product such as chips, vegetables and lollies," he said. "It also comes with a lower price tag to attract smaller manufacturers." Another recent development from TNA is a stainless steel Robag for wet areas such as cold rooms where salad or meat is packaged. As there is no contact between food and machine, stainless steel is not a regulatory requirement, but its use ensures the longevity of the machine in demanding environments. TNA holds 80-85% of the worldwide market for snack food packaging machines. Over its 20 years of operation, TNA's largest markets have been Mexico and the United Kingdom. In recent years however the Middle East has emerged as a strong new market, prompting the establishment of a new TNA office in Dubai to serve countries including Iran, Iraq, Egypt and India. TNA's manufacturing facility is based in Melbourne where it manufactures all 150-200 machines required annually for the worldwide market. From start to finish it takes just over a week to build a machine. It is then tested for 48 hours prior to delivery and installation. TNA guarantees less than 0.5-1% rejects from its Robag machines, which according to TNA, far outperforms its competitors – with tests shown to have a 1 - 3% reject rate. A further advantage of the Robag is the ease and speed with which blade changes can be made. While competitors' machines require up to four hours for a simple blade or element change, a blade change on the Robag takes just 10 minutes in a simple 'plug and play' type arrangement and an element change just 30 minutes. Since TNA began manufacturing the Robag, it has used pneumatic components from SMC Pneumatics . From the early days of cylinders and basic control equipment, TNA now uses a combination of SMC actuators, valves, fittings and advanced PLC control systems for the fully automated machine. "The pneumatics used have a bearing on the performance of the machine as speed is so vital to us," said Mr Taylor. "So it has always been important that we get the most reliable, efficient and advanced pneumatics available. 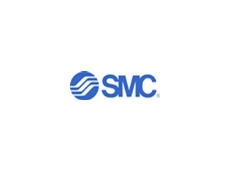 “SMC's products are backed by an unmatched research and design team so we are confident of always having access to the world's best pneumatic solutions." "With the throughput we promise to our customers, reliability of components is vital,” said Mr Taylor. “With our machines going to various countries they need to be able to stand up to heavy use without the need for constant downtime repairs. “SMC components give us that confidence in the pneumatics, so we will happily continue our association with them in the future."